The new SIG Sauer P320 XCompact is feature-built to end-user demand. SIG Sauer announced the addition of the P320 XCompact to the P320 X-Series pistol line at SHOT Show 2019. The P320 XCompact will bring the features of the P320 X-series pistols to a more concealable handgun. The new P320 XCompact offers shooters several features appealing to the concealed carry group, including a redesigned grip for comfort and better control. These features offer benefits for detectives and administrative officers, or officers preferring a smaller framed duty handgun. SHOT Show 2019 delivered quite a few new firearm and product announcements, and the new SIG Sauer P320 XCompact is a great addition to an already popular line of handguns. We’ll jump into the features that make this new handgun worth a look. SIG Sauer P320 XCompact offers a strong contender for concealed carry. The SIG Sauer P320 pistols have become some of the most popular striker-fired pistols on the market. The inclusion of highly favorable modularity, and a stainless steel chassis, are just two features that start to separate the P320 pistols from the competition. The P320 XCompact offers a serialize trigger group, allowing shooters to the option to transfer the trigger group to multiple caliber, size, and grip options without the requirement to purchase an entirely new handgun. The initial P320 XCompact version will be available in 9mm. The single groove on the front side of the grip just under the trigger guard has also been enlarged. This particular groove has been a subject for quite a bit of debate among handgun owners. Many shooters do not like finger grooves, since it is impossible to make grooves that fit all shooter’s hand sizes. However, the groove underneath the trigger guard is much more than a simple finger groove. In combination with the upward curve of the trigger guard, this cut-out allows the shooter’s hand to sit even higher on the grip. Higher grip allows the shooter more control of the firearm in general, and particularly during recoil. A large groove can give the shooter greater accuracy potential during rapid follow-up shots. In addition to great frame features the P320 XCompact will boast X-RAY 3 night sights, with an optic ready rear sight plate. This is forward thinking on SIG’s part, and provides another example of the industry’s support for pistol-mounted optics. Pistol optics offer an incredibly better sight picture, and having the option is a huge benefit. Finally, the P320 XCompact comes with a straight trigger as opposed to the traditional curved trigger found on the original P320 pistols and most other SIG Sauer handguns. A flat trigger is reported to provide a more consistent trigger finger placement and trigger pull over curved triggers. We did not get a chance to shoot the new SIG Sauer P320 XCompact at SHOT Show this year, but our experiences with the P320 series of pistols in the past have been highly favorable. SIG Sauer makes excellent firearms. The P320 pistols offer shooters excellent ergonomics, dependable reliability and accuracy, and modularity features at the top of the food chain. Add in a stainless steel chassis, and a serialized trigger group, and owners can quickly have a variety of pistols without the full price of several pistols. The SIG Sauer P320 XCompact features were driven by shooter feedback, and each offers great benefit to the shooter’s control of the firearm and comfort during grip. The ability to add an optic is another great feature, even for a pistol designed for concealed carry. 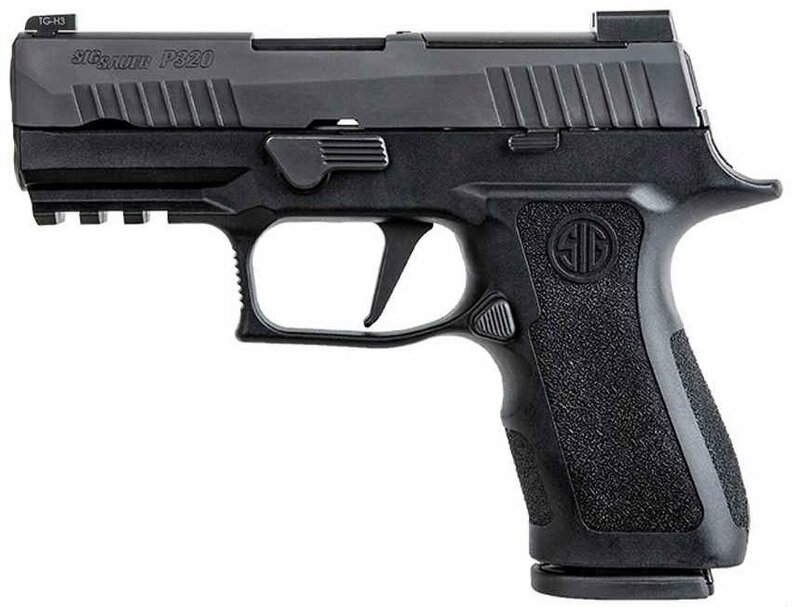 The new P320 XCompact appears to be another winner for SIG. Doug, the best information we have is April, 2019 the P320 XCompact will be widely available. Interestingly, I’ve already seen some reviews for this great new pistol from what appear to be individual owners and not professional firearm reviewers. 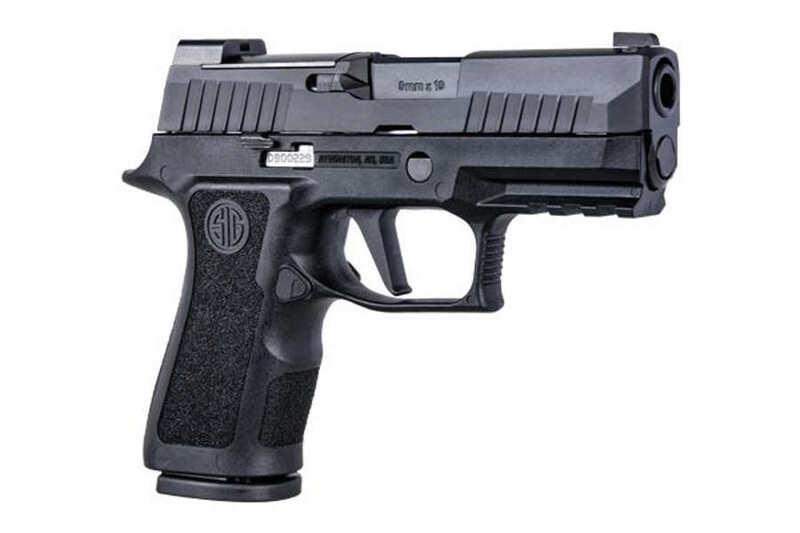 There may have been a limited release early, but it does appear SIG Sauer will have the XCompact available in April.